On the Preferred portal by Online Advertising Agencies and Advertisers in Nigeria, Africa and beyond. Reach your Customers online on multiple websites/blogs. Any advert placed on our platform will display on over 10,000 on major Newspaper websites and top blogs simultaneously. Our Platform is a fully transparent online advertising website. You can target specific newspaper websites & blogs sites that convert best with your Product e.g Business, Technology, Politics, News, Sport, Fashion etc. Users are using a plethora of connected devices to navigate online. Target specific devices that convert better for your products. You can target users based on devices like desktop, mobile devices, tablets etc. Geo-targeting enables you target users based on specific geographic location. You can target users by country of resident and it helps to narrow your campaign to precise audience in a given location using radius targeting. Select the exact times of the day within the week when you want your campaigns to run and in which time-zone! Limit the exposure of your campaigns to unique users. And also limit your daily spending. Target specific website visitors with ads tailored to their level of interest. Retargeting allows you to follow up with your best prospects. Easily setup ads, monitor your ads performance, and fine-tune your campaigns with an easy-to-use interface. You can also seamlessly integrate our retargeting code on your website or mobile apps. Being one of the leading advertising agencies in Nigeria and preferred online marketing company in Lagos, we understand your pain and the stress every business person go through and we are here with a solution. Over 5,000 brands across 50 countries trust us because we have great customer support team that provides near 24/7 support. 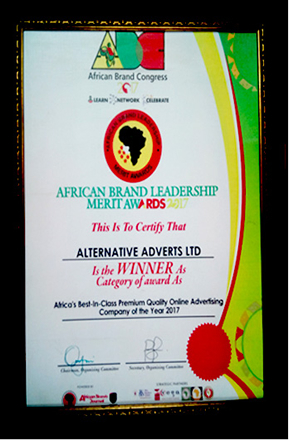 In recognition of our contribution to the online advertising industry and excellent services to institutions and individuals in helping them get return on investment, we were award “AFRICA’S BEST-IN-CLASS PREMIUM QUALITY ONLINE ADVERTISING COMPANY OF THE YEAR 2017” by AFRICAN BRAND LEADERSHIP at the AFRICAN BRAND CONGRESS 2017. There is a saying that "Any business that stop advertising starts dying" that is the reason businesses constantly need a way to reach their potential customers online, either to sell their products and service or create awareness and remain relevant and top of mind. At Alternative Adverts Ltd we help businesses develop digital and social media strategy that will guarantee return on investment. Our other service includes Social media marketing, digital marketing training, Search Engine optimization (SEO), Website development, mobile app development, Mobile Marketing, bulk SMS, Voice SMS etc. Digital is no longer the future. Digital is NOW. We are adept at combining the elements of internet marketing to deliver superior value to your customers and turn them into advocates of your brand. Your target audience is online looking for brands to engage them. If you don’t act, your competitors will. We would help you convert your potential customers who are already waiting for you. Design is creativity with strategy. Design is the key to everything. We create complete products that rejuvenate your brands image. Good design equals more profits for your business.. 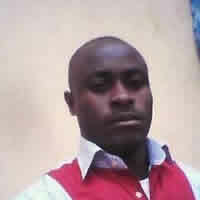 I am webmaster with large website network. I got more than 2 milion impressions per day and Alternative Adverts Ltd convert my traffic very good. I always got payments on time. Hope I can to work with for a long time. 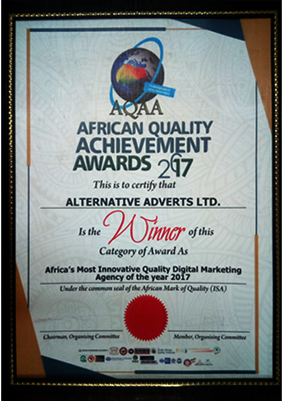 Best Ad Tech provider in Nigeria i can trust so far, that help advertise Products and Services online, Their ad server is the best in Africa and I must give it to them, they always deliver on their words. And i believe they have the best CPM and CPC rates.